The following article appeared in the June 19, 2014 edition of the Israeli daily newspaper, Haaretz. 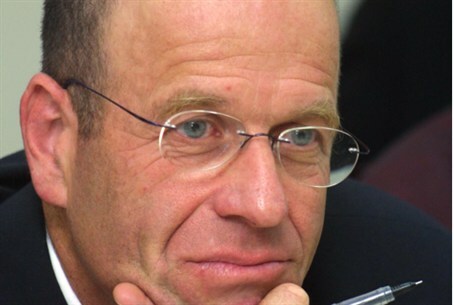 Avraham “Avrum” Burg is an Israeli author and politician; he was formerly a member of the Knesset, a chairman of the Jewish Agency for Israel and a Speaker of the Knesset. Here are Israel’s shallow prime minister and the bumbling police, the masses who cling to futile prayers and not to a moment of human peace. Here are the country’s hypocritical chief rabbis, who just a month ago demanded promises from the pope regarding the future of the Jewish people, but in their daily lives remain silent about the fate of the people who are our neighbors, trampled beneath the pressure of occupation and racism under the leadership of rabbis who receive exorbitant salaries and benefits. So what exactly is he complaining about, with his dramatic and schmaltzy comments and gestures? His immediate, conditioned, unconsidered response shows that he was just waiting for this moment, if only to say “I told you so.” And now that he has, the real question surfaces: What exactly is he telling us? The painful answer: Nothing at all. Israel’s left wing, too, which is supposedly dignified, has become the gaping mouth of the carp stuffed with some sort of gray substance, lying on the Passover seder plate of the gluttonous right wing. The latter, too, are embroiled in a disgraceful fight over a piece of the pie of legitimacy that belongs to the sticky consensus. It has already been proven any number of times that kidnapping sets one free. It seems once again that Israel understands nothing but violence. What does that say about us? This response of ours — which ranges between “They deserve it” and “They are all terrorists,” to “I am following orders” and “I did not know what was going on” — says more about us than it does about them. Despite the enormous and inspiring success of Breaking the Silence (an NGO that collects testimony from soldiers who’ve served in the West Bank), our own total silence is still the loudest thing around us. We are willing to go out of our minds over one odd and troublesome Pollard, a lone kidnap victim or three kidnap victims, but we are incapable of understanding the suffering of a whole society, its cry, and the future of an entire nation that has been kidnapped by us. Next Next post: Could These Two Parents Actually be Deviants?